When the author of the blog Another Second Opinion completed his residency, he was faced with a decision: prioritize student loan payments, or take a risk and invest while paying down the minimums? His decisions and knowledge can help young dentists, too. Continue below to find out which financial path is best for you. Money management skills are a weak point for many dentists, but these steps can help. Dave Ramsey's The Total Money Makeover was the first personal finance book I read after completing my residency. At the risk of sounding cliché, it changed my life. I was starting my first real job with hundreds of thousands of dollars in student loan debt, in need of a house for my wife and three kids, and I had no significant assets. Ramsey instilled in me a strong foundation in money management and offered me a blueprint to handle my situation. At first, I thought I should try to save up for a down payment, pay off loans and invest in the stock market at the same time. Reading Ramsey’s advice convinced me that this was not a good idea just starting out. Instead, I used Ramsey’s “debt snowball” plan to get control over the many different types of student loans I had, including some from my undergraduate days. I was able to put more toward the larger balances as each smaller, low-balance loan one was paid off. Before long, my initial debt was cut in half. This is when I strayed from Ramsey’s advice. Once I felt my income was high enough and consistent enough that I could easily pay off my loans in less than five years, I started to put a little more money (I was already maxing out my 401k) toward investments and a little less toward my loans. These investments were in the form of a defined benefit plan, three 529 plans and a taxable investment account. The reason I decided to take this route was that my loan interest rates were 3 to 4 percent, but over the previous three years, I was averaging more than 10 percent in returns from investments. Is this always the right move? No, there are no guarantees with investing. Should you at least consider another option? Absolutely! This is about opportunity cost, the cost of choosing one route versus an alternative. If you are putting all of your time, energy and money into paying off your student loans and mortgage, that leaves very little, if anything, to invest. You’ll have given away precious years of compound interest growth at double the rate of the loans you are paying off. Let’s say there are three young dentists, fresh out of training with $100,000 in student loan debt. 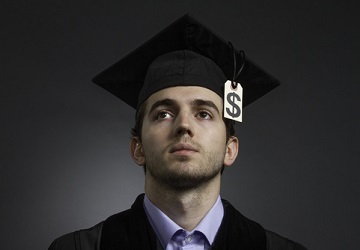 To pay the student loans off in 10 years, the minimum monthly payment is $1,012.45. Let’s now pretend that each young dentist has an additional $1,987.55 to either put toward loans or invest ($1,012.45 + $1,987.55 = $3,000). Once their loans are paid off, each will put the all the money toward investing, $3,000 per month. Finally, let’s pretend that we follow their journey for 10 years. Just read The Total Money Makeover coming out of residency and wants to stick with the plan. She will put all the $3,000 toward student loan payoff each month. Her loan will be paid off in about 3 years, after which she will invest all the $3,000 each month. Just read Rich Dad, Poor Dad and is determined to build assets that will lead to passive income. He wants to just pay the minimum toward student loans and invest the remaining $1,987.55. By just paying the minimum, it will take him the entire 10 years to pay off his loan. Just read both books and decided to hedge her bets a little by paying more than the minimum on her student loans, but also invest at the same time. Of the $1,987.55 left over after the minimum payment, she splits it in half and directs $993.78 toward student loan payoff and $993.78 toward investments each month. Her loan will be paid off in 4.5 years, after which she will invest all the $3,000 each month. If you want to be as conservative as possible, then you’ll make it your primary goal to eliminate debt. If you are a risk taker, you’ll accept being in debt longer with the tradeoff of probably having more money when it’s all said and done. If you’re like me, you’ll probably try to find a good middle ground: more aggressive than conservative, but more conservative than aggressive, or conservatively aggressive? Some may also call this being a moderate risk taker. In fact, most would call it that. Of course, this is a spectrum, and you can titrate your risk however you’d like. As a young dentist, you may want to consider taking a little more risk as you have many years for these investments to grow. Make sure you don’t miss the opportunity. Discover more Dentist’s Money Digest® news here.